Most people think that breathing and posture are two separate functions. They either try to “Stand Up Straight!” or they try to “Take a Deep Breath” Both strategies interfere with the natural uprightness of your spine and your body’s ability to easily move with your breath. 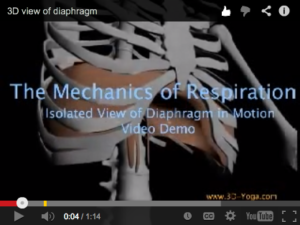 Watch this video of the diaphragm. See how much it moves. 1) Breathing in by lifting your chest and shoulders. This requires many muscles in upper body to grip and tighten and prevents your diaphragm from moving properly in order to for breath to enter your lungs. 2) Holding your breath. Holding your breath actually requires your muscles to work hard. You will also start to feel frantic, panicky, anxious, and/or nervous. Your breath rate will go up and you may even be hurting your back. Your posture will be diminished because all of your muscles are squeezing. 3) Sucking in your belly & controlling the breath. Your body breathes better than you do. If you are trying to breathe deeply while holding in your belly, you are interfering with your body’s natural breathing coordination. These mistakes can not only cause physical pain but also evoke nervousness, fear, and anxiety. Your voice is also squelched. 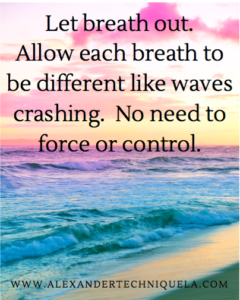 Letting breath out releases muscles and allows your body to take care of you. Your BODY breathes better than you. If your breathing seems difficult, your body is tense, and your voice is strained, the Alexander Technique may be the solution. Is texting hurting you and your relationships? Got text neck? 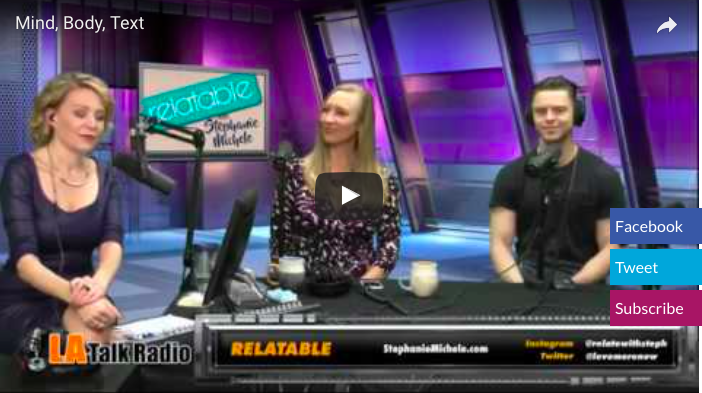 Stephanie Michele, host of Relatable, with me and Matt Formica discussed texting norms and the hidden harms of texting too much. Setting guidelines to mindfully decrease texts exchanges were emphasized with a review of the No Text or Next pledge. Watch the interview HERE. 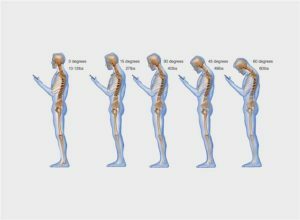 Doctors are now diagnosing patients with “texting neck.” Carrying your head forward of your spine to use your smart phone is causing pain, harming your posture, and interfering with your breathing. My best advice is to prioritize your body over your phone and watch the interview! Recenlty, a study was published in The Journal of Bodywork and Movement Therapies that compared older Alexander Technique practitioners to other age-matched adults. I have witnessed so many of my clients who older and wiser, completely change how they walk, sit, stand, and move through life. Before they took, Alexander Technique lessons, they walked with their head forward of their spine, their chest compressed, and their leg joints stiffened. Alexander Technique lessons give you the “tools” to unravel old patterns of tension and movement that have you walk like you are much older. 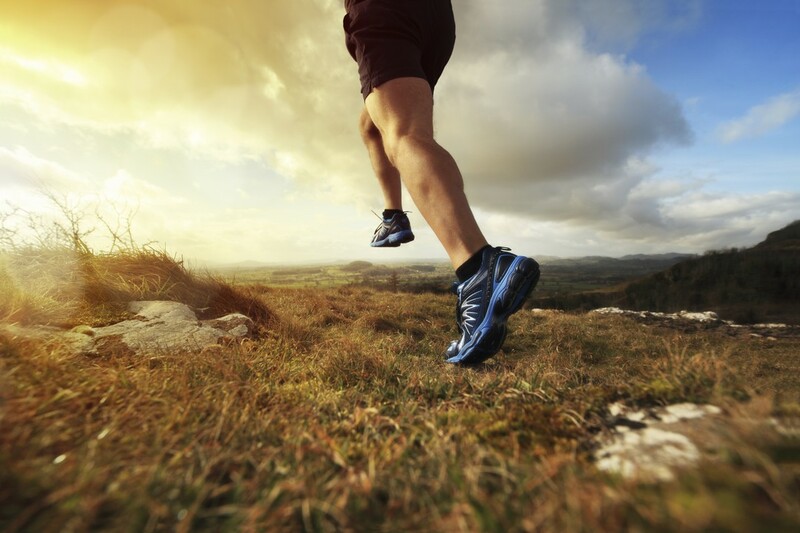 Aging does not have to be a sentence to hunching over and stiffening your body. My clients have freed up their breathing, relieved back pain, and opened up their posture. All of which has impacted their confidence. Walking like a young person doesn’t require a fountain of youth. It requires mindfulness, awareness, and training.